I have a small CNC machine that was originally purchased for milling printed circuit boards. These days I mainly mill wood with it and because of this, I needed new clamps to hold down the work piece. Here is a design that I'm after. 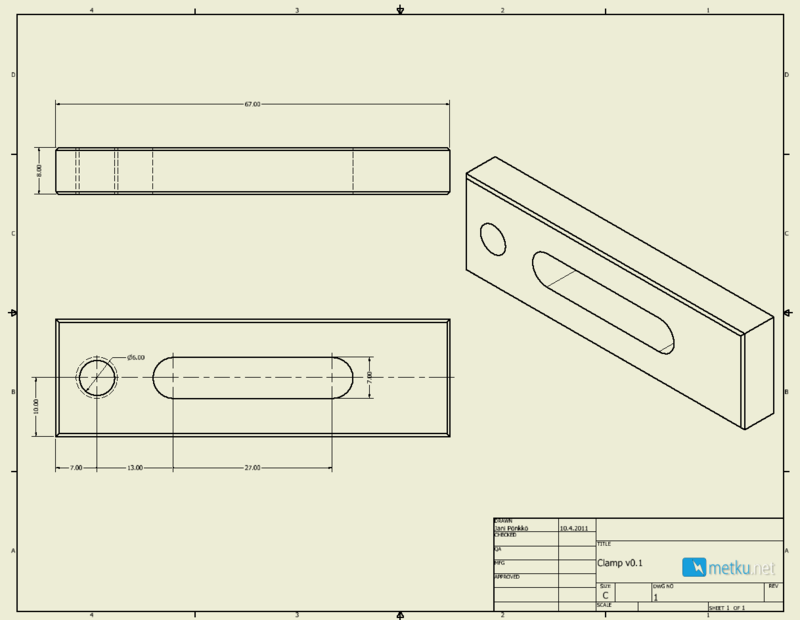 I designed this with Inventor (gave me the excuse to learn it at the same time) and while the piece is very simple, it should make my life a lot easier when doing some milling. Here are the plans. The image is larger small so here is a link to the larger version. The piece can be done by using wood or metal. I had some aluminum pieces left so I decided to use a 8 mm thick slab for this project.